The combination of flavors here is riotously different. I love the sweet bursts of chewy, dried fig chunks combined with the buttery toastiness of the pine nuts and the savory fried greens and onions. I think walnuts would work if you don’t have pine nuts handy. I’d also be curious to try this with other grains, but I like that the high-protein content of quinoa makes this a complete meal. I served this with rustic bread, sliced thickly and topped with avocado, tomato, and arugula. It made a fantastic lunch. Speed it Up: This is a quick recipe, but you can do all the prep work ahead of time if need be, and then it will take only a minute or two to assemble the salad. I would not combine the ingredients, though, more than 30 minutes or so before serving or, if you must do that, leave the pine nuts out and add them right before eating. 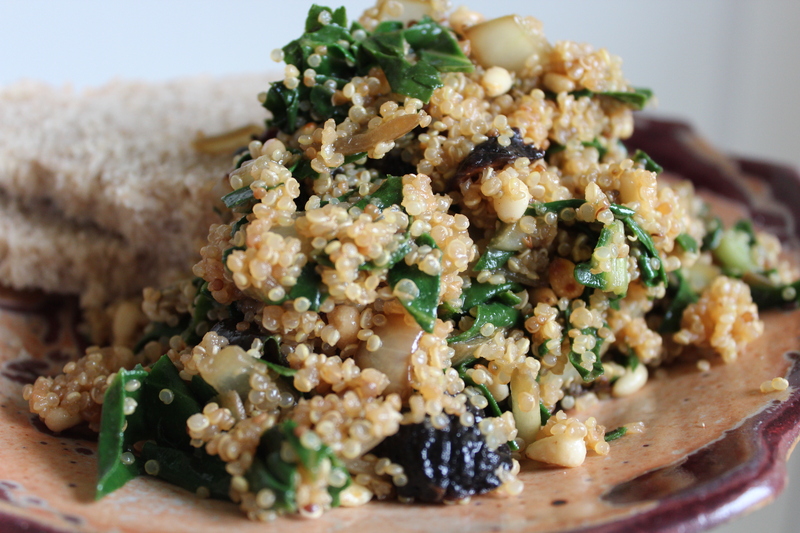 This salad is lovely warm or cold, but I prefer room temperature or slightly warm to chilled, so if I made this ahead of time, I would take the quinoa out of the fridge early enough to take off the frosty edge. This is a delightful dish for potlucks or light lunches. The contrast of sweet and savory is unusual and delicious. The combination of sweet dried fruit and oily toasted nuts—so common in desserts—is fantastic in this quick salad. Serve it alongside a main dish, sandwiches, or soup, or make it the main course and compliment with bread, a green salad, and fresh fruit for a light meal. Dry toast the quinoa in a heavy-bottom saucepan, stirring frequently, over medium-high heat for 3-4 minutes, or until the grains start to pop, turn golden brown, and let off a nutty fragrance. Add the vegetable broth and water, raise heat to high, cover, and bring to boil. Reduce the heat to low and cook about 15 minutes, or until all of the liquid is absorbed. Turn off the heat and let sit while you prepare the other ingredients. 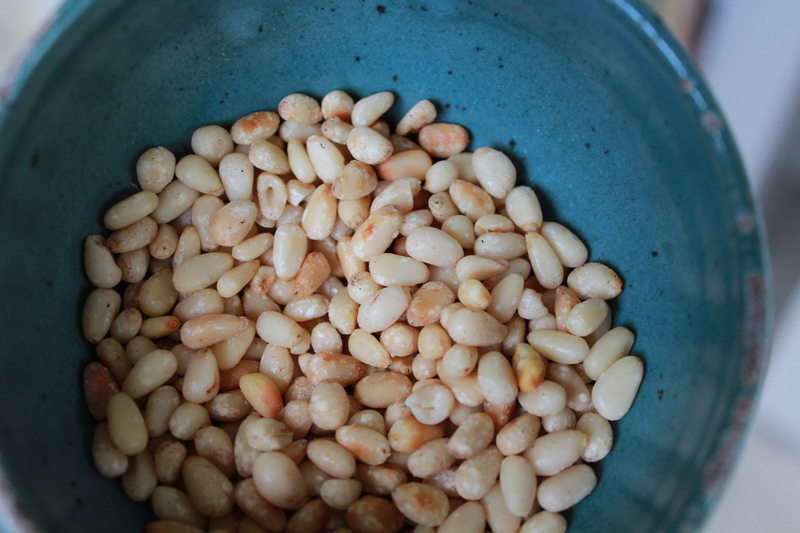 In a medium-sized skillet, toast the pine nuts. Cook them over medium-high heat, stirring frequently, until they begin to brown. Watch them carefully to prevent burning. Remove them from the skillet. Pour the olive oil into the skillet. Sautee the onion and chard stems in the oil until tender. 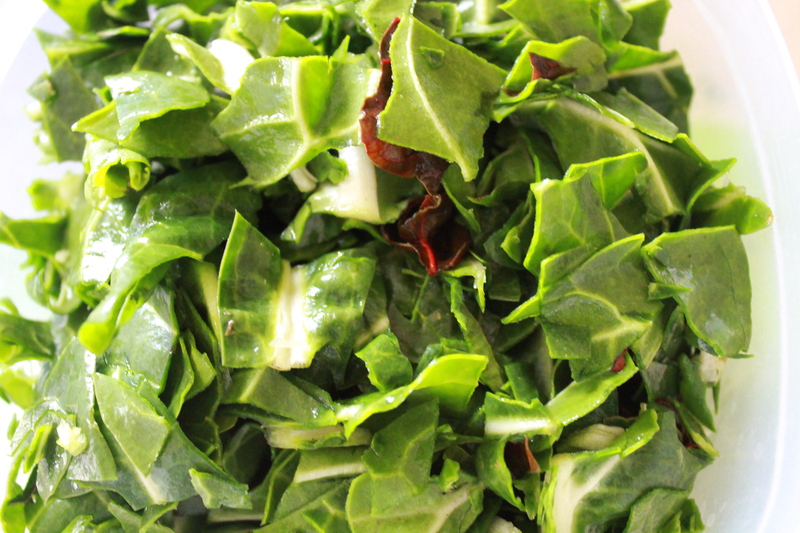 Add the chard leaves and sautee another 2-3 minutes, or until it is wilted. Remove from the heat. 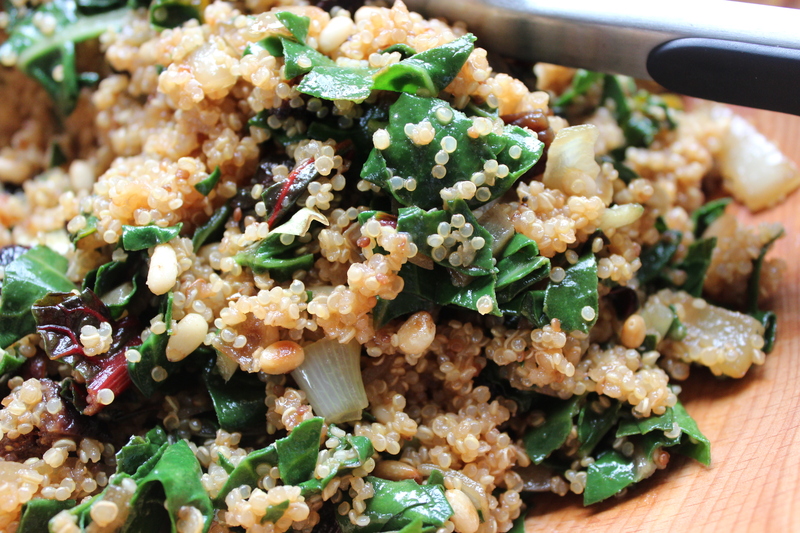 Once the quinoa has cooled a bit (you want it warm or room temperature, not straight-out-of-the-fridge cold or piping hot), fluff it with a fork, then scoop it into a large serving bowl. 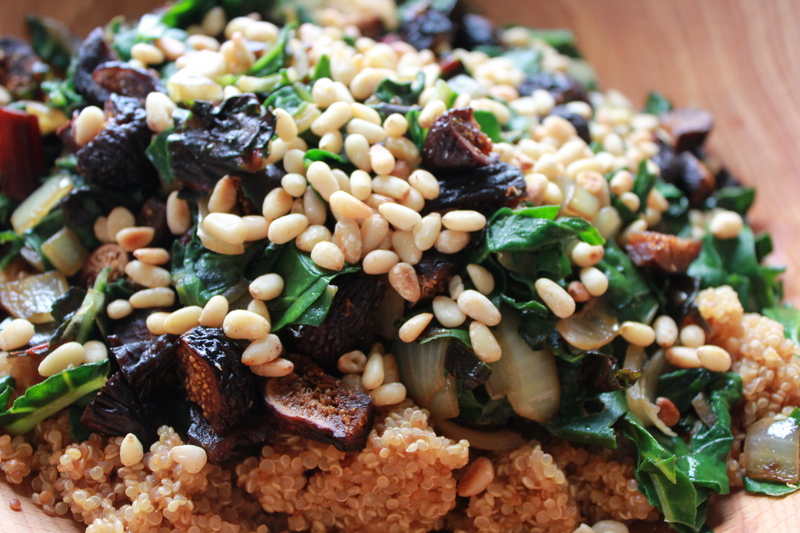 Toss the quinoa with the sauteed chard, figs, and pine nuts. Add salt to taste.